The James Lind Library has been established to improve public and professional general knowledge about fair tests of treatments in healthcare and their history. The project was initiated by Iain Chalmers, and has been carried out in collaboration with a range of institutions: James Lind Initiative, Oxford, UK; Department of Social and Preventive Medicine, University of Bern, Switzerland; Department of Clinical Epidemiology, Leiden University Hospital, the Netherlands and Queens College, City University of New York, USA. 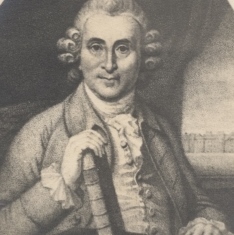 The James Lind Library is a website that introduces visitors to the principles of fair tests of treatments, with a series of short, illustrated essays, which are currently available in English, Arabic, Chinese, French, Portuguese, Russian and Spanish.